Pattie's Creations Design Challenge for making me this wonderful watermark. I especially love the little dog she added - to cute. Background: Hero Arts; Old Letter Writing + text. Frame: Layers of Colors, clear embossed and colored with Copic Ciao. Flower: Tim Holtz die - fabric and glimmer mist. This is just so pretty,, that label stamp is gorgeous! Love the lace and the sweet little bird. Thanks for joining us at The Ribbon Reel this week. That flower is gorgeous !! Thanks for sharing with us over @ polkadoodles this week. good luck ! Super card, love the colours! Thanks so much for playing along with Paperplay this week!! 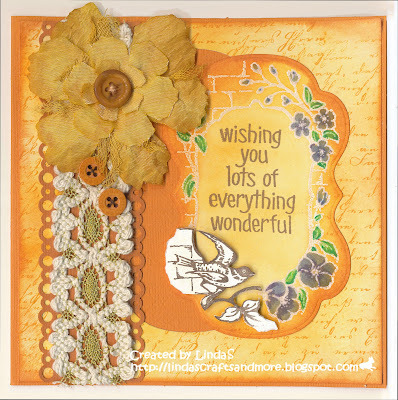 what a beautiful card Linda!! I just love the fall colors and your elegant design. Thanks for joining the ODBD Shining the Light challenge this week!! Just stunning Linda! Thx for joining us at Ladybug Crafts Ink! 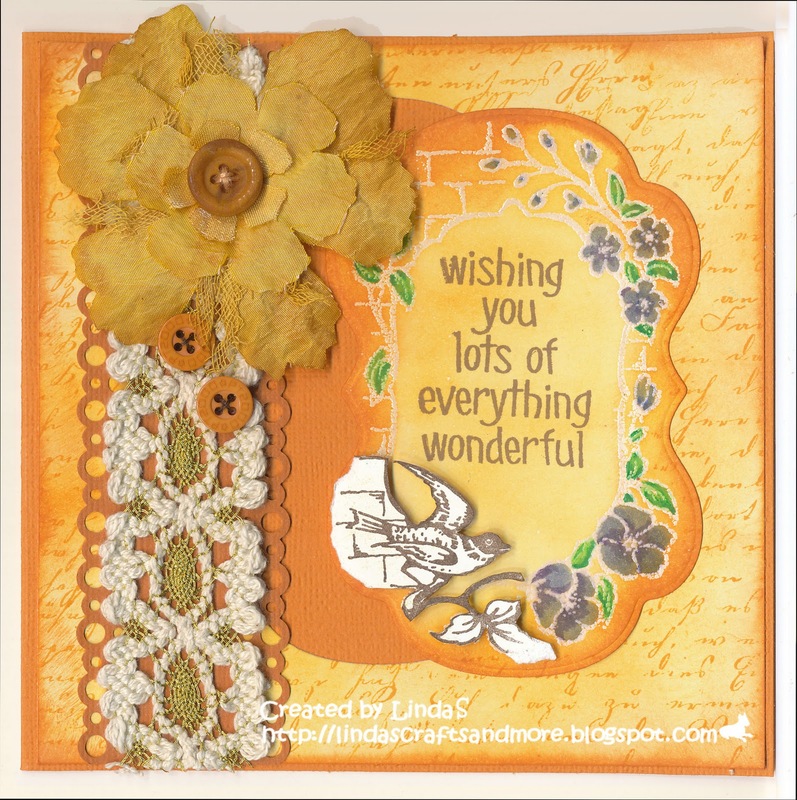 A lovely card, thanks for joining in the Polka Doodles challenge.